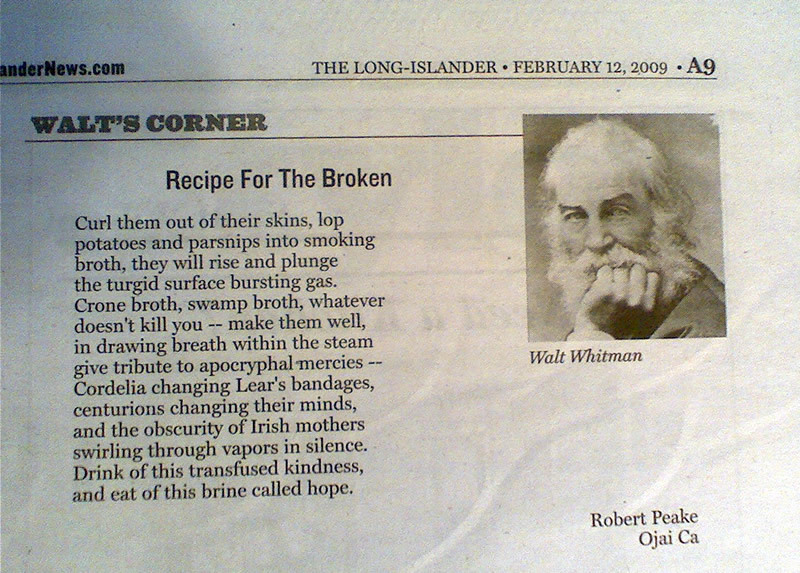 The April 21st edition of The Long-Islander newspaper slipped through my mail slot today. 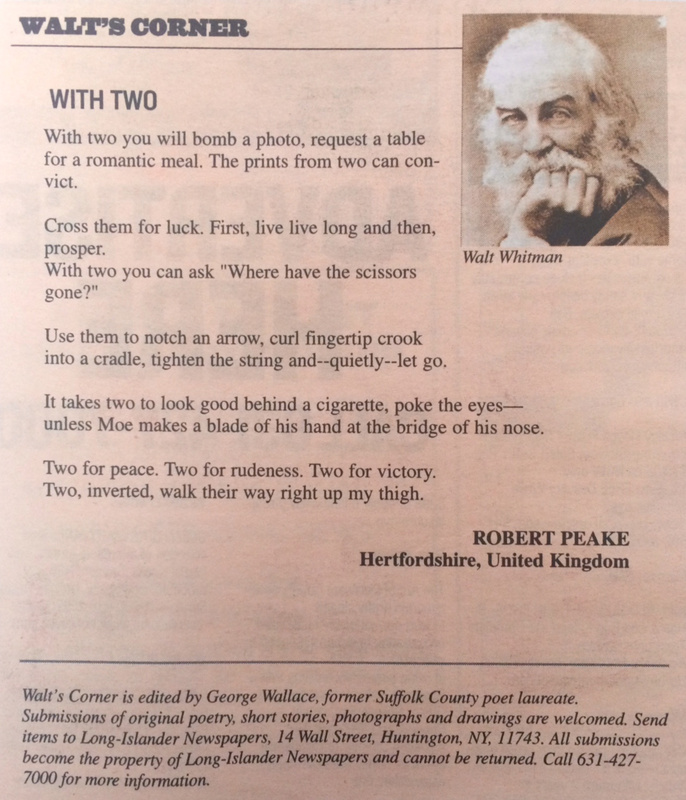 In "Walt's Corner", a column dedicated to poetry since the paper was founded by Walt Whitman in 1838, appears my poem praising various uses of two fingers. 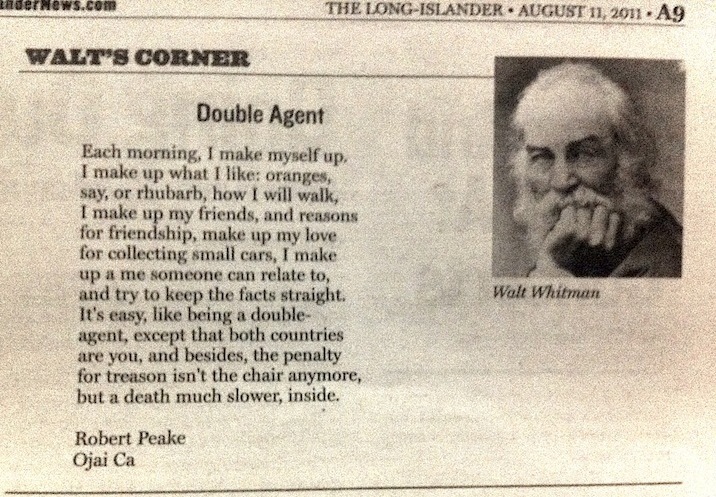 I have had two poems in The Long-Islander previously, both times listing my location as "Ojai, California". But this is a poem that could only have been written in the UK. Categories: Poetry and Publications. Tags: The Long-Islander. 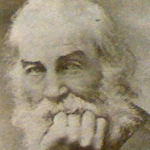 Poets: George Wallace and Walt Whitman.